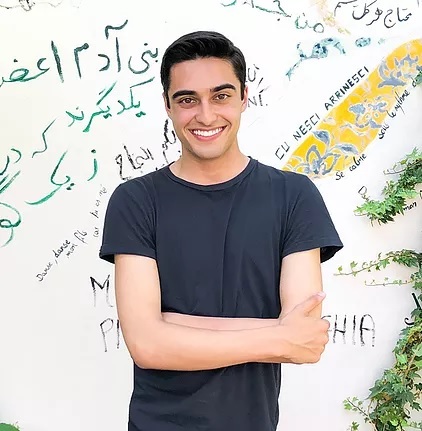 Haris Hosseini is the founding president of The Tech for Global Good Student Board. He is a junior at The Harker School in San Jose. Passionate about giving back to his community, he has participated in service-oriented initiatives both locally in the Bay Area and abroad. As an active member of his high school’s speech and debate team, Haris uses his platform and voice to speak about the issues that he cares deeply about. He intends to continue his advocacy and activism during his time as the Tech for Global Good Student Board’s founding president. 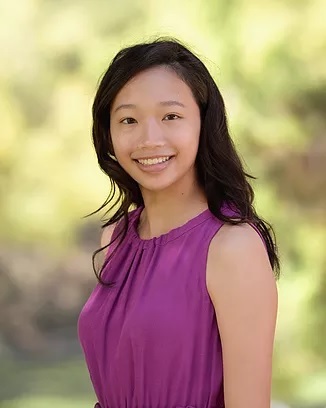 Regina Ta is a senior at Presentation High School where she is the captain of the school’s speech and debate team. 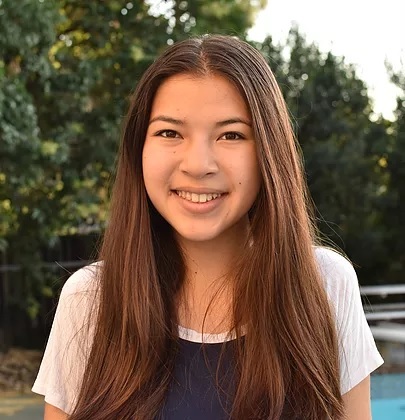 Ta is a participant in Original Oratory, a competitive event hosted by the National Speech and Debate Association, which challenges her to identify problems in society and brainstorm solutions. She is excited to put these skills into action for the Tech for Global Good initiative. In addition to competing at both the local and national level, she enjoys mentoring novices and coaching middle-school students in speech and debate. When she’s not traveling for tournaments or editing speeches, she can be found on the tennis court, where she serves up more puns than aces. 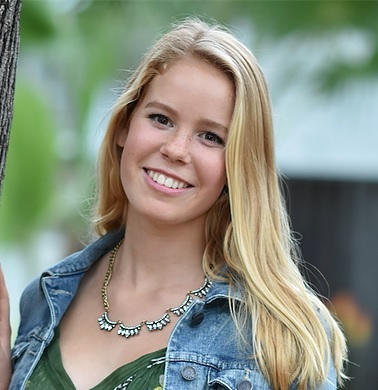 Annelise Kettmann is a senior at Los Gatos High School where she is involved in peer-education programs and is captain of the varsity tennis team. She is an active member of National Charity League. Kettmann’s passion for social entrepreneurship culminated in sending a solar suitcase to a Kenyan classroom enabling students to study for state exams after dark with a reliable, clean light source. 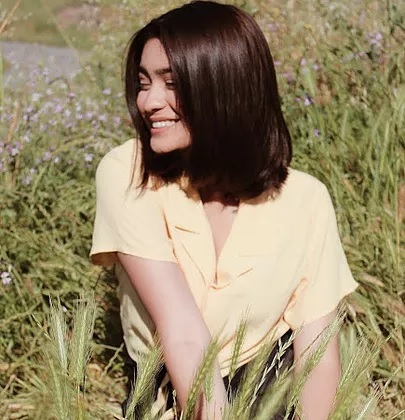 She is driven to change our current social world as an advocate for the environment and is thrilled to be working with The Tech to reach out to young adults and inspire global change. 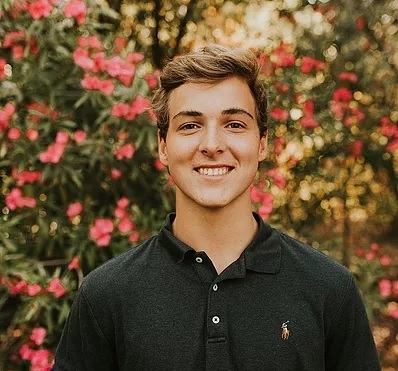 Conor Gallivan is a senior at Bellarmine College Preparatory in San Jose. He participates in numerous clubs such as Agape, a campus service club, and Free the Children as a leader for social change. He lived abroad for three years studying at the Hong Kong International School and has traveled the world with his family, learning to be a global citizen. Conor also plays three instruments, sings at his church and is an active participant in musical theater at Bellarmine. He is a leader at his youth ministry organization, the Intersection, and during summer 2016, worked as a lifeguard and swim instructor at the Elks Lodge in Palo Alto. Conor looks forward to working with The Tech for Global Good to make a lasting impact on the world. Divya Nair is a junior at Notre Dame High School in San Jose. She is a dedicated competitor in a speech event known as Original Oratory, and enjoys inspiring others and sparking social change. She is a captain on her school’s speech team, and has also mentored middle school students in speech. She enjoys encouraging others to be activists to fight for causes they believe in. Nair is also passionate about bettering the world through the use of science and technology, and has been an active competitor in the local science fair, Synopsys, for five years. She has also presented her scientific research at conferences such the American Geophysical Conference. She sees the Tech Student Board as a unique intersection of science, technology, and advocacy, and is excited to lead social change within her community. Riya hopes to double major in Political Science and Philosophy, ultimately aiming to become a politician. 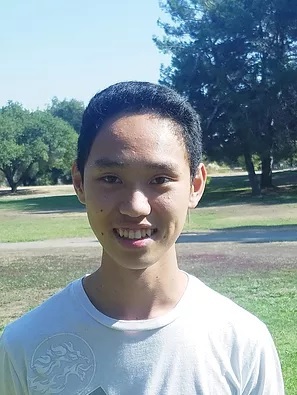 Kenneth Huynh is a junior board member of The Tech for Global Good Student Board. He is a junior at Independence High School in San Jose who has participated in various community programs and is captain of the varsity Track&Field team. Also, as the current secretary of the PG&E Solar Suitcase program at his school, Kenneth environmentally helped reduced food waste in his school and built solar suitcases for those who need it abroad. His drive to make a difference encourages him to create an impact on young students in the Bay Area as a member of the Tech for Global Good Student Board. Malaina Kapoor is a homeschooled high school junior. She is a recipient of the Caroline D. Bradley Scholarship, a merit-based academic scholarship awarded to 30 students annually nationwide. Her work has been published by organizations including the Mercury News, the Clayton Christensen Institute, Education Next, and Bluefire. She was recently awarded a national gold medal in journalism from the Scholastic Arts and Writing Competition. 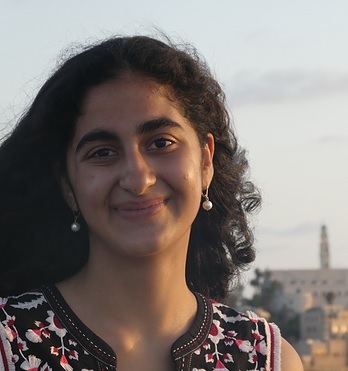 Malaina is an active participant in Model UN and has started two nonprofits addressing hunger and the refugee crisis. Malaina is also a competitive opera singer; her music awards include the gold medal in the U.S. International Music Competition and second place in the International American Protege Competition, which resulted in a solo performance at Carnegie Hall. Cadence “Cady” Boronkay is a junior attending Santa Teresa High School in San Jose. In her freshman year, Cady joined her school’s robotics team and this year, will be the mechanical lead. She spends much of her time educating fellow students in engineering and machinery usage. Besides working on her team’s robot, she has mentored younger students in STEM and coordinated events hosted by her team. Cady also plays the alto and soprano saxophones and ice skates. 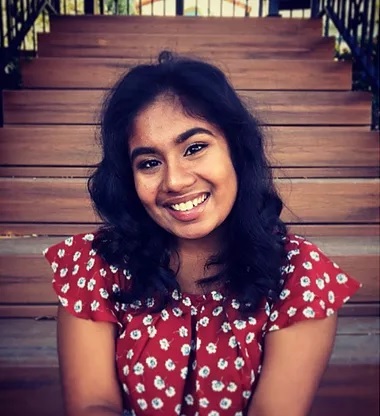 She thoroughly believes that engineering and technology can provide solutions to many global issues and is eager to share this passion with other students through the Tech for Global Good Student Board. Alessandra Lopez is a junior at Andrew P. Hill High School enrolled in the Multimedia Program. After serving as class president for two years she ran for and obtains the position of ASB executive secretary while actively helping the club Raza Unida. Additionally, she founded Supplies for Scholars, an on-site group that collects and distributes school supplies for students. She works part-time at a local restaurant, tutors children, enjoys capturing moments on film, digital photography, and participating in community outreach services. When not at school or work, Alessandra can be found in downtown San Jose performing and supporting local events and asking herself where and how she can give back. For two decades as a public high school teacher, Kavita Gupta has worked tirelessly to bring access and relevance to science education nationwide alongside policy makers and educators. As a strand leader for the National Science Teachers Association’s national conferences, an advocate for science education funding at the Silicon Valley March for Science, one of the five National Geographic Education Fellows nationwide, and an author of publications such as Reaction Prediction: Made Easy, Kavita has impacted students, fellow educators, and the community at large toward science education. Kavita teaches chemistry in a suburban public high school in Cupertino. 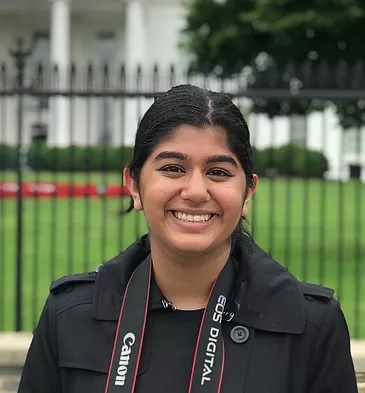 As a member of inaugural class of National Geographic Education fellows, Kavita has challenged students to learn holistically, contextually, and analytically around the important issue of Climate Change. 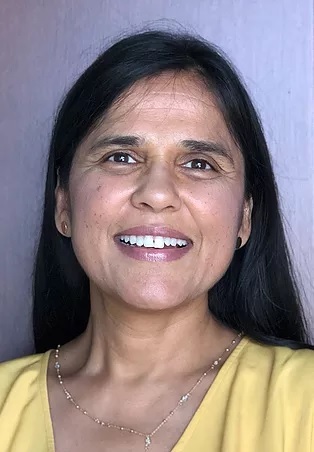 Kavita has been recognized for her exceptional teaching by the City of Cupertino and by the higher education institutions such as Stanford, MIT, and the University of California. Kavita has also been featured in the Mercury News, the marquee Silicon Valley newspaper. David Homa has been a teacher at Los Gatos High School since 2000. He is in the social science department and teaches a variety of courses including Social Entrepreneurship, Economics and Anthropology. Prior to moving to the Bay Area David was a college professor in Tokyo, Japan where he and his wife lived and worked for three years. 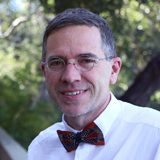 Rick is the CTO of Rippleworks.org, helping social ventures tackle the toughest challenges of our time. RippleWorks provides practical support for entrepreneurs, grounded in experience. 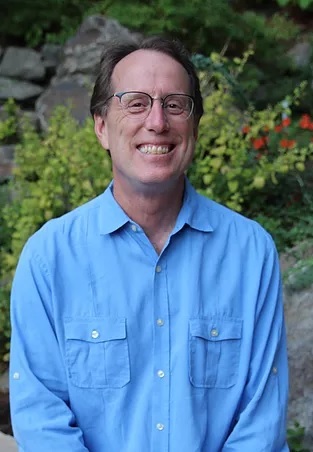 Rick’s technical career began at The Lawrence Hall of Science, designing math software for young children. The subsequent years brought roles at Sun/Javasoft, Tellme, Microsoft, and a variety of startups. He left the commercial world to focus exclusively on social impact efforts, first at Kiva.org, leading the engineering effort to help alleviate poverty through the power of crowd-lending, and now at RippleWorks. Rick has been on a variety of boards and advisory councils, focused on the impact of technology on society. To organize and inspire Bay Area youth to broaden their understanding of global issues and to become the architects of change by using technology to provide innovative solutions. For more information about the Student Board, please contact tgg.youthboard@gmail.com.